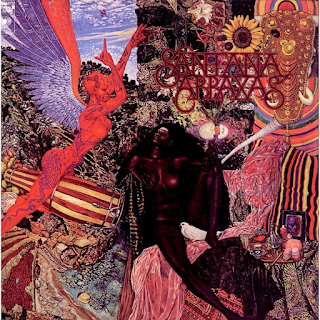 “Abraxas” builds on the solid Latin rock instrumental with a few vocal tracks dotted around foundation of Santana’s impressive first album. Their trademark fusion of Latin percussion rhythms and Carlos Santana’s unique lead guitar sound was now firmly established as the Santana sound. Still only comparatively young, Santana’s first three albums really were ground-breaking and, in many ways, were never bettered. “Singing Winds, Crying Beasts” is a percussion-driven rhythmic opener before the album’s first vocal “rock” song in a cover of Fleetwood Mac’s “Black Magic Woman” and its instrumental partner, “Gypsy Queen”. “Oye Como Va” is a vocal track in Spanish, with a hypnotic, unforgettable groove, while the instrumental “Incident At Neshabur” sees Gregg Rolie’s organ work blend with some of the band’s heaviest guitar work thus far. 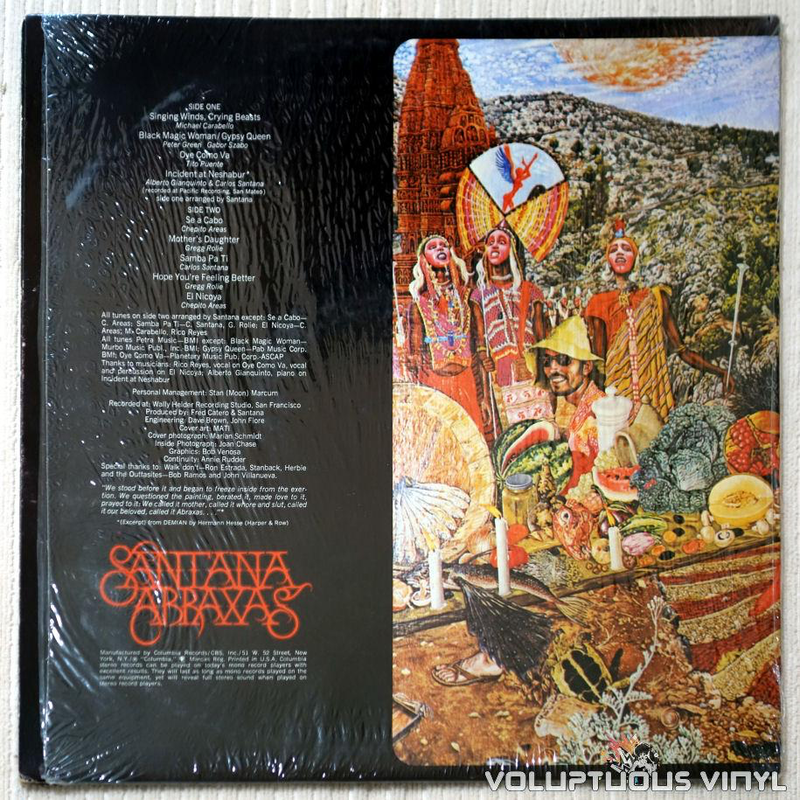 It was this sort of track which attracted many traditional rock fans to Santana. Nice piano solo at the end too. “Se A Cabo” continues in the same swirling organ, heavy guitar, frantic percussion vein. Stunning conga solo bit on this from the prodigiously talented Nicaraguan Jose “Chepito” Areas. “Mother’s Daughter” is an excellent early 70s style rock song, with a rousing guitar riff and a convincing vocal. Would have made a good single. Maybe the guitar work in the middle was considered a bit too intense. Then, of course, is the big hit song in the beautiful instrumental Carlos Santana vehicle “Samba Pa Ti”. Don’t forget the organ break in the middle as well. Or the bass and percussion for that matter. All these years later, this track is possibly Santana’s most instantly recognisable. “Hope You’re Feeling Better” suffers from some muddy production - a muffled vocal and some scratchy guitar, particularly at the song’s beginning. It is a small low point in an otherwise excellent album. However, there is still some stirring guitar in the final part though. “El Nicoya” is a heady piece of Latin rhythmic funk/rock to end off an impressive outing, albeit a little too short at a minute and a half. Once again, the three bonus live tracks are excellent.